$700 Birkin 35, Acrylic on Canvas 16 x 20 2018. $250 Siri Remove My Makeup, acrylic on canvas, 8 x 10, 2018. $1600, Fake it til you Make it- unlettered, diamond portrait acrylic on 20” round wood panel, 2018. 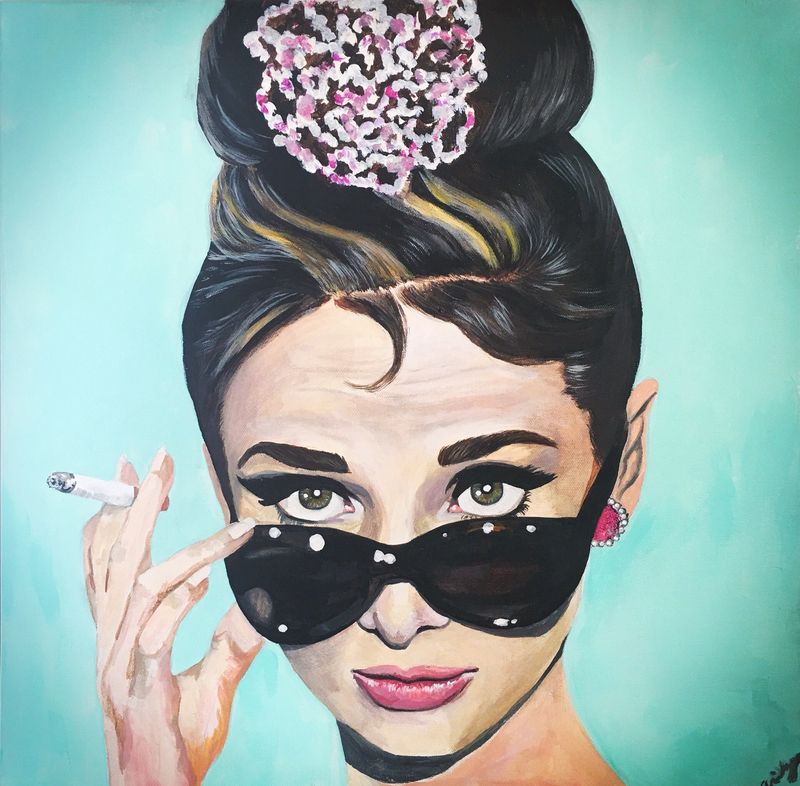 **SOLD** $700 Givenchy Audrey Hepburn, Acrylic on canvas 12 x 12 2018.